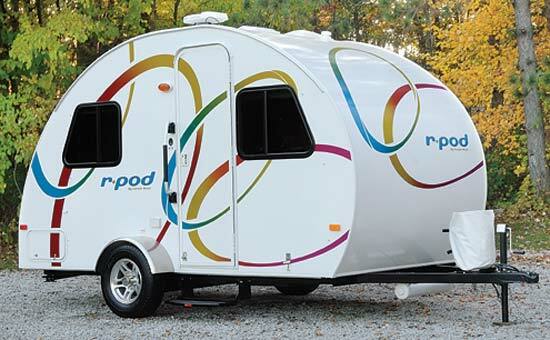 The r-pod comes in 7 floorplans with lengths between 16’2″ and 18’2″. Two of the models feature a slide. 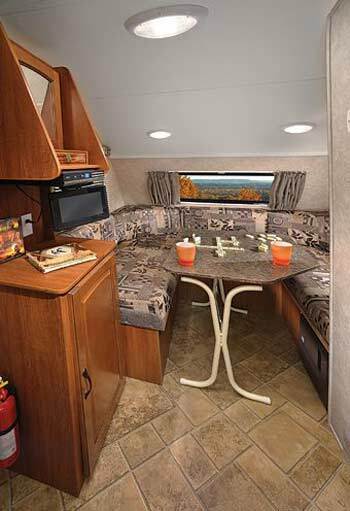 We show all of the floorplans below. 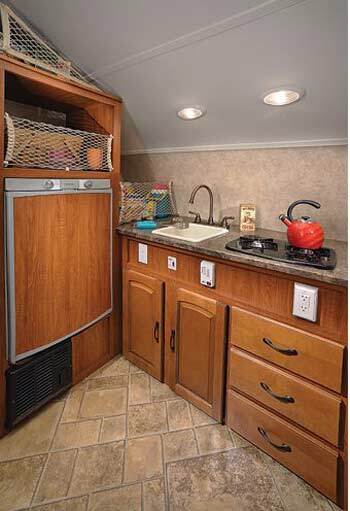 We show 2 pictures of the interior below. 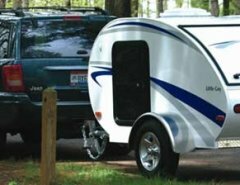 Forest River says the r-pod comes with “residential cabinetry, hardwood drawers and expandable cargo netting for additional storage wherever possible”.